If you’re looking for an award-winning new car that’s reliable yet stylish, then you’re invited to explore the inventory of new Hyundai sedans and SUVs at our Hyundai dealership near Denver, CO. Hyundai has been named in the Top 3 in the J.D Power 2018 Initial Quality Study (IQS)℠, giving you confidence in knowing your vehicle is among the best of the best. The new-vehicle initial quality score is based on the number of problems experienced per 100 vehicles during the first 90 days of ownership. That means you can get popular models like the new Hyundai Tucson SUV or new Hyundai Sonata sedan and enjoy unmatched peace of mind. Want to view our new Hyundai model lineup and learn more about what the Hyundai Initial Quality score means for you? 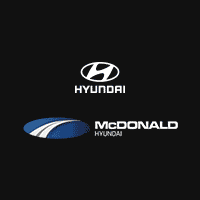 Contact McDonald Hyundai to test-drive a new Hyundai and to speak with our Hyundai finance team to see how you can buy or lease a new Tucson, Santa Fe or Elantra. Come trade in your vehicle or sell a car near Denver, CO, at McDonald Hyundai to upgrade to an award-winning new Hyundai vehicle!